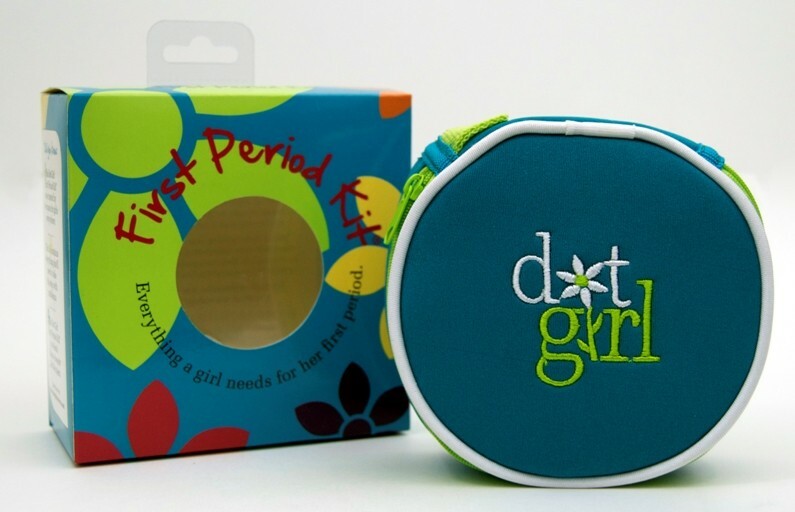 The Dot Girl First Period Kit offers everything a girl needs for her first period, including The Dot Girl Period Answer Book that is packed with 20 frequently asked questions and answers about menstruation, five feminine pads, five disposal bags, one reusable heating pad, and two hand wipes. Everything comes fashionably packaged in a discreet carrying case that can fit in a purse or backpack. For a diverse assortment of guides on all aspects of growing up, including ones addressing issues related to both physical and social development, visit our Guides for Girls section. To learn about another highly recommended first period kit for girls, visit My First Period Kit and DVD.